Possibly the oldest debate in snowmobiling revolves around the ski you choose for your sled can either make or break it from a handling perspective. Whether you’re replacing the stock old school steel skis of a classic sled or dialling in the performance of something new, making the right ski choice is incredibly important. Kimpex is not new to the ski game, they have been producing high quality replacement skis for years and offer the broadest range of designs we’ve seen. 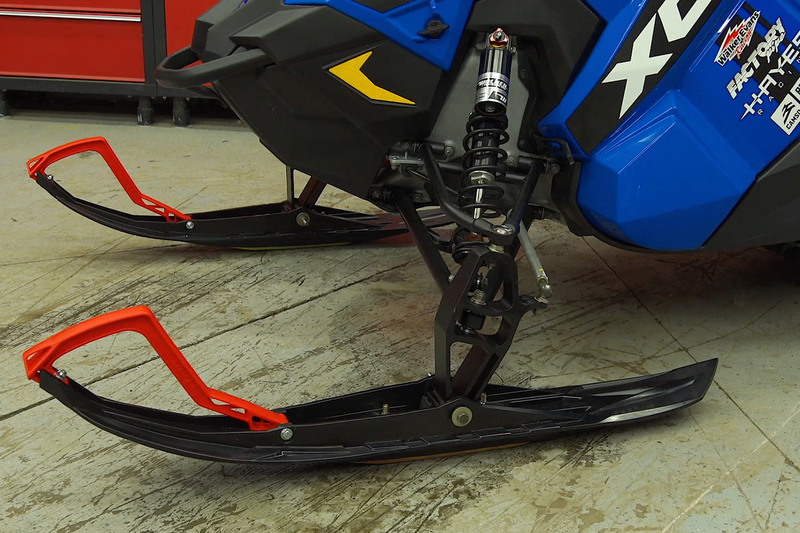 They bring high quality design elements with durability and performance benefits to suit a wide variety of riding styles and help you tune your sleds performance to your riding preferences. Add to this exceptional value as well as offering mounting kits for nearly every sled made as well as a huge selection of color choices for both ski and handle and you can literally custom tune your skis performance and style. Three of their most popular styles which cater across the spectrum of needs are the single carbide – center keel Rush Ski, the trail performance dual-keel Arrow II ski and finally the off-trail natured 7 inch wide Stealth ski. Dubbed as the “Best Replacement Ski on the market”, the Arrow II is targeted towards those looking to step up your game and increase your front-end bite. With 6 unique colors available for the updated handle design you can make the Arrow II compliment your sled, but it’s the dual keel design that has made the ski so popular. When we match up 4 single side effect 90 degree carbides you’ve got a 5.5 inch wide ski that’s going where you point it and eliminate any darting along the way. The biggest benefit is that it manages to do with a minimal increase to steering effort. 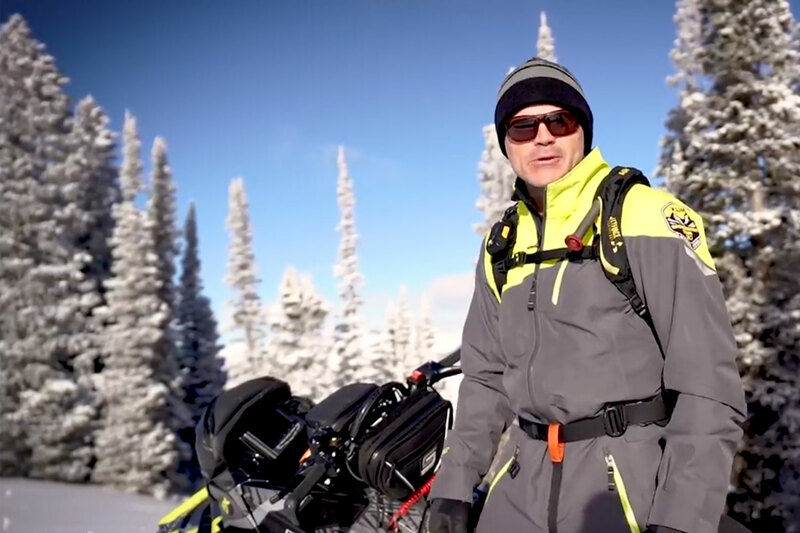 Tested on a G4 Ski Doo the Arrow II delivered serious drivability and increased confidence as the ski does not wander or deviate from the path you put it on. In hard crusty snow it is planted and confident and in lighter fluff it finds solid grip where other skis will push. The raised rear tail of the ski helps with backing up, keeping the aft section from dropping under the snows crust, and rather riding on top. One of the other cool features to the Arrow II ski is what Kimpex refers to as Integrated Fixation. In layman terms, it’s built in mounting saddles that eliminates the mounting kits which also contributes to the skis reduced weight at just 4.1 pounds per ski features which in the end amps up the precision this ski delivers. For more information on the full line of replacement skis from Kimpex visit www.kimpex.com.